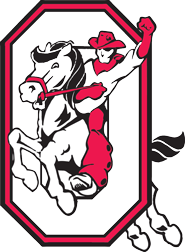 Orrville Schools will begin accepting phone calls for kindergarten registration and screening on April 1, 2019. Screening and registration appointments willl be held April 30, May 1, and May 2 at Orrville Elementary School. Many appointment times are available and will take approxiamtely 45 minutes. Session times will be 9:30 am, 10:30 am, 11:30 am, 1:00 pm and 2:00 pm on Tuesday and Wednesday. Thursday's times are 9:30 am and 10:30 am. At registration, you will have the opportunity to pre-order your child's kindergarten PE t-shirt. The cost is $10.00, payable by cash or check. Please enter at door 1 (on west side of building). Parking is available in the lot between the elementary and middle school, along the drive of the stadium, and at the back of the school (must walk around building). If you would like to begin collecting information that will be needed, please begin by gathering your child's birth certificate and shot record. Copies will be taken at registration and your originals will be returned to you. Also required at registration time is the parent's proof of residency (official mail - ex. utility bill, lease, SNAP benefit letter, phone/cable bill, etc - are acceptable proof's of residency) and any custody paperwork (if applicable). Please do not use the registration paperwork that is on the district's website as we are in the process of updating our enrollment process.